First off before I say anything else, hats off to Penn State. They proved why they are ranked so high in the rankings, and why both their offensive and defensive units are one of the most feared units in the nation. In one of the most memorable and the wildest game in recent memory, both as a fan of the team and a writer, Ohio State looked doomed from the start of the game, but they battled back with their backs against the wall. On the opening kickoff, adversity struck the Buckeyes as their error-prone Special Teams unit imploded as they let Barkley return the kick 97-yards to put his team ahead 7-0. 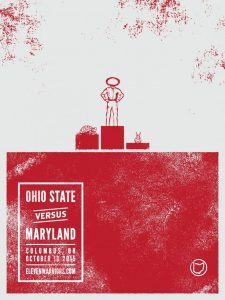 On Ohio State’s first possession, the Buckeyes attempted to establish the run early and after two successful runs Barrett tried a swing pass to Campbell, but tragedy struck once again as he coughed it up on a fumble that was returned to the 23-yard line for another scoring opportunity. While on the 23, Penn State took 1:56 and 5 plays to punch in another score with a 13-yard pass to Hamilton over Arnette, who was beaten off of the line to add to the lead 14-0. It only took less than 4 minutes for the Nittany Lions to score 2 TD’s and it looked grim as the game progressed. An Ohio State punt followed with the Buckeyes abandoning the run before settling for the screen and swing passes to the RB’s and WR’s, but they nearly converted on 3rd and long but Baugh dropped the Barrett pass. The Buckeyes defense forced a punt before JT Barrett got to work in chipping away at the lead. He went 2-3 for 12 yards, while Dobbins ripped off a 12-yard run, but he was sacked forcing Urban Meyer to settle for points. The defense had another good series for Ohio State forcing another Penn State punt, but they were turned away on downs while trying to convert in the red zone. McSorley responded by taking the ball 80-yards before Barkley took it 36-yards for his second TD of the game. Barrett looked like he was running a 2-minute drill as he took the field with urgency after being down 21-3. He took a listless offense and created a well-needed spark to chip away some more. Barrett leaned on Weber to keep the defense guessing before hitting Mack for 36-yards, then McLaurin on a 14-yard strike to cut into the lead. Penn State still leads 21-10. On the ensuing kickoff, another mistake on Special Teams happened as Koa Farmer returned the ball 59-yards to the Buckeye 23 yard line. It took McSorley two plays before taking it on an 8-yard scramble to put his team up 28-10. In what was mostly a back and forth game Barrett and Ohio State responded with a 10-play 75-yard drive to settle the score at 17-28 with a short run into the end zone by Weber. Both teams traded punts to keep the score locked in at 28-17. In the second half, the Buckeye offense looked crisp while nearly going the distance before sputtering and settling for another short FG to cut the lead to single digits. The secondary then gives up play after play to the Penn State receivers before Thompkins scored on a questionable play which was originally called an interception, but after the review, it was reversed in Penn State’s favor to extend the lead to 35-20. It was the second questionable call that negated a turnover, both by Ward in the end zone. The officiating in the game was terrible and it seemed like the Buckeyes were doomed. Another exchange of punts occurred then Barrett fumbled the RPO play and gave the ball back to Penn State. The defense stiffened up and forced a punt, but Ward would not be denied his moment for the defense as he busted through the line and blocked Gillikin’s punt and gave the Buckeyes life as Barrett quickly completed a pass before hitting an open Dixon for a 38-yard score to cut the lead down to single digits once again. The story of the game is the defense limiting Penn State to just 10 points in the second half after the second half adjustments were made. 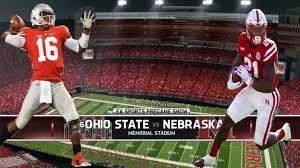 The better story would be Barrett going 14-14 for 140 yards and 2 TD’s to will his team back from the depths of defeat. He hit Dixon one more time and Baugh to seal the win for the Buckeyes. The defense, especially the Rushmen came up big at the end earning a sack and pressuring McSorley to create incompletions before turning it over on downs. Overall it was an instant classic that proved the doubters wrong. It was a hard fought win and this 18 point come from behind victory is the largest comeback under Urban Meyer. This puts the Buckeyes in the driver’s seat in the BIG 10 East and it puts the Buckeyes in the CFB Playoff conversation. They must not overlook MSU and TTUN and they must stay focused and improve until the season ends. But enjoy the win Buckeye faithful. I sure will! Go, Bucks! With a little over 24 hours until the gameday, the anticipation is unbearable. This highly anticipated clash between two Top 6 BIG teams that are both fighting for a spot in this seasons CFB Playoffs. A season ago, the higher ranked Buckeyes slept on the Nittany Lions during a White Out and they ended up losing after a FG was returned for a TD. 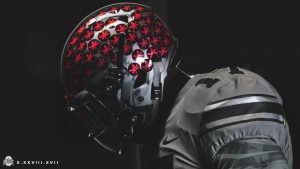 This year Ohio State will host Penn State in another Blackout at the Shoe game that will feature new uniforms for the Buckeyes. They will be sporting an all gray uniforms that will impress even the most close-minded, traditionalist fans who always seem to complain. This uniform combination will display the Buckeyes staff willingness to venture outside of the traditional Scarlet and Gray to impress the nation and any recruiting targets that will tune in or be present at the game itself. 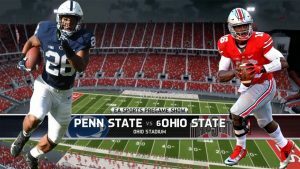 This will provide a unique and electric atmosphere that could sway the momentum in the Buckeyes favor because last season they lost at Penn State during a White Out. The Buckeyes will use this new found swag in their favor to avenge their defeat from a season ago. J.T. Barrett and Trace McSorley will be leaned on heavily during the entirety of this clash. Both have the improved as the season progressed and both have the same tools to will their teams to a victory. J.T. Barrett has improved a lot since the blunder against Oklahoma. Although it was mostly against inferior teams the Buckeyes high-powered offense is tied for the lead with UCF in scoring offense averaging 47.3 PPG with 44 total TD’s so far this season. This Buckeye offense will be the toughest challenge for the Nittany Lions this season. The playmakers are making timely, high impact plays and Barrett is playing at a high, concentrated level, but he will have difficulties against the nations top ranked defense that is giving up 9.6 PPG. Trace McSorley also has a Top 20 ranked offense coming in at 17th in the nation averaging 40.0 PPG. They have weapons at every level which will make it interesting to watch. McSorley has to establish himself early against the inconsistent and often penalized Cornerbacks that Ohio State starts. Ohio State ranks as the 10th best defense and is giving up 15.4 PPG. Ohio State will have their hands full this weekend at every level on defense. Penn State has by far the most talented offense that is similar to Oklahoma but they have an effective running game with weapons at every level. McSorley has Saquon Barkley at RB, Daesean Hamilton and a bunch of talent at WR and Mike Gesicki at the TE position. Combined they make up a formidable offense that could give the Buckeyes trouble early and possibly even often. Each level have a playmaker and another that is almost as effective as the last. The Buckeyes must make it a priority to play disciplined and error free to leave victorious. To do that they must not fall for the misdirection and fakes that Penn State has in their playbook. They must also bottle up Barkley who is their do it all playmaking back that has Penn State faithful thinking Heisman and eventually a Championship. Barkely has 1,930 yards combining his one pass, receiving and rushing with 12 total TD’s. After that the combination of Gesicki and Hamilton scares me a tad bit more that Barkley. Together they account for 709 yards and 8 touchdowns and that isn’t including Johnson and Blackalls contributions at receiver. On the Buckeyes side of things, the glaring weakness for Penn State is their Offensive Line which plays into their strength their Rushmen package. Paired with the Linebackers and Big Play Baker, the Buckeyes could dominate if they control the trenches on defense. It will not be easy because of McSorley’s ability to run, but it is attainable. BIA will be challenged in this game until the final whistle blows. The collection of receivers that the Buckeyes will face poses a threat to them due to their inconsistency and their habit of earning holding and pass interference penalties. Special Teams will have a huge chip on their shoulders after last seasons unexpected loss to Penn State. The recurring storyline for Ohio State is their lack of success or consistency in the Special Teams department, which is coincidentally Urban Meyers specialty. This season, they have struggled mightily as they limp into this game. With a combination of giving up big returns to missed or blocked FG’s Penn State could hurt the Buckeyes with Barkley in this phase of the game. Coach Meyer must be laser focused and the team needs to perform for this phase to avoid another last minute blocked FG. The importance of this game will not overlook the issues that have plagued the Buckeyes this season and with that, Meyer will look to excel at this phase and all other phases of the game to leave with another win. 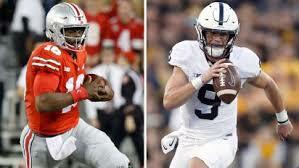 I personally want to see a blowout win for the Buckeyes but I cannot overlook Penn State because of the many weapons that they possess on both sides of the ball. This will be another slow burn game that will develop over time. I believe balance will be the key and Dobbins and Weber will be needed to establish the run while Barrett makes the passes necessary to move the ball into scoring positions. Barrett will be harassed and the right side will be tested once again. Prince and Knox will be tested because they were targeted a lot because of their inability to protect Barrett. 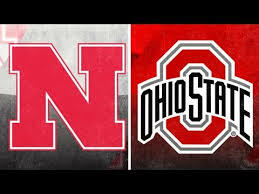 The Buckeyes won the toss and deferred, which gave Nebraska the first offensive possession of the game. On the opening kickoff, the Special Teams unit began the game with another error with another free-kick out of bounds penalty that put Nebraska at their 35-yard line. The Buckeye defense then stepped out on the field and forced a Nebraska punt, but their offense was pinned inside of their 5-yard line. J.T. Barrett relied heavily on the run game but was also 4-5 despite the windy weather conditions, but J.K. Dobbins scored his 5th TD of the year on a 52-yard sweep toward the left side of the line and broke free with his speed and a well-timed stiff arm before marching into the end zone. Nick Bosa barely missed an opportunity for another strip sack, but the defense turned Nebraska away once again, but on the ensuing punt return the Buckeyes were flagged for holding which negated the good field position. With that penalty, the Buckeyes begin another drive in less than desirable field position, but Barrett was ready this drive. He was 2-3 for 20 yards and he showed the willingness to air it out with a deep shot that fell incomplete. He was more effective on the ground rushing for 18-yards to convert on a 3rd down before scampering for 6 yards for 6 more points. The Buckeye offense is clicking after scoring on 96-yard and 85-yard drives. Nebraska looked more efficient and engineered a drive into Buckeye territory, but a questionable holding call shuts the door on a scoring opportunity before another punt. Barrett took the field position and drove another 80 yards for another score, this time to K.J. Hill for 16-yards on a drag route. The Buckeye defense then stuffed another 3rd and short and got Nebraska to punt again. On this long, 71 yard drive, Ohio State came out with another balanced attack where he mixed it up between Weber runs and with bullets to Victor before airing it out for 31-yards to McLaurin on a great corner route putting the Buckeyes up 28-0. Stanley Morgan Jr makes his first catch of the game nearly midway through the second quarter for 8-yards. Shortly after Big Play Baker ruined a swing pass to Ozigbo and got a huge lick in on the running back. J.D. Spillman nearly scored on a 30-yards but was brought down by a shoelace tackle from Jordan Fuller. J.D. Spillman nearly scored on a 30-yards but was brought down by a shoelace tackle from Jordan Fuller. Fuller was targeted a lot on the Nebraska drive but was turned away while attempting to pick on him on a 4th down attempt. Barrett took shot after shot, showing patience in the pocket and he found his receivers before taking it in the end zone for another rushing TD to put the Buckeyes up 35-0 with a little over a minute left in the half. At the break, Ohio State leads 35-0 holding Nebraska to 116 total yards of offense and just 5 first downs. Ohio State ends the half with 366 yards of offense and 22 first downs. Barrett continued the onslaught after taking another long drive for a score with a 9 play 75-yard drive. He found Baugh for a big gain before hitting Berry on a corner route to add to the lead. Nebraska beat the zone defense for a big-play by J.D. 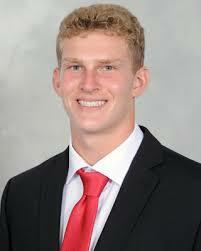 Spillman, who has had been the lone playmaker for the Cornhuskers for a 77-yard score. He has 5 catches and he has been hurting the Buckeyes and has 143 yards so far. The theme of the game is long, extended drives from the Buckeyes. Barrett had another that ended this 75-yard drive with a pass to Marcus Baugh for an 18-yard score after beating man coverage. The Buckeyes surrendered their first pass interference penalty after Sheffield was caught grabbing at the jersey. Not a bad mistake, but at least the improvement is evident. Afterwards, Ozigbo took a screen for 35-yards to the Buckeye 20. Morgan made a nice grab after a mistimed jump by Ward to make it 49-14. Barrett responds with a 15 play, 66-yard drive, that chewed up the clock before finding Hill for another red zone TD for what should be his 5th and final TD of the game. He should finish with 325 yards and 5 TD’s on 27 of 33 attempts and 2 more TD’s with 48-yards on the ground. Burrow and Haskins made appearances late in the 4th to get some valuable reps. Amir Riep seals the deal with an interception with no time remaining. 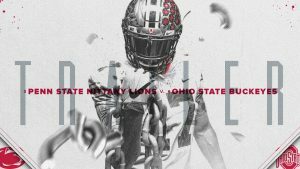 The Buckeyes head toward a bye week before hosting Penn State at home. As J.T. Barrett continues to become more comfortable with the new offensive coaching staff and his playmakers, he still manages to catch flak even though he is winning. Questions about his lack of accuracy and the scarcity of deep shots downfield, people of all walks of life are still calling for his benching despite the 5-1 start. Barrett has actually been playing well so far, he is 111-174 for 1513 yards and 16 TD’s against and just a single interception. He also has 311 rushing yards for 3 TD’s on 60 rushing attempts. Sure, it has been against mediocre competition but he has improved since that lone loss at home against Oklahoma. Ohio State ranks 14th in the nation through 6 games this season in passing offense and 7th in team passing efficiency. Barrett has led his team and for now, is the 4th best scoring offense in the nation, averaging 45.8 PPG for a total of 275 points so far this year. Barrett will now face a string of tougher opponents and the cupcakes were essentially used to build up his confidence. The first test will be the contest against Nebraska and their 47th ranked passing defense who has only allowed 7 TD’s this season, 6.74 YPA, 10.44 YPC and 208.8 YPG. This will not be an easy task, but Barrett seems to be clicking and what better opportunity is there than to test himself in Lincoln. As we all witnessed, starting RG Branden Bowen suffered a major injury and he has been lost for the rest of the season. This does not bode well for the Buckeyes, as they had trouble keeping Barrett upright last season. This is an opportunity for Burrell, Knox and Pridgeon to earn playing time, one as a starter and the other in the two-deep. Burrell came in the game and he did fairly well, but Urban Meyer was stated that the contest at RG is “wide open”. I for one thought he did quite well being thrown into the fray, but for Meyer, he wants the best on the field and RG is no exception. All three players will compete with each other to see who bested the rest. For now, we can only speculate who wins the competition and if that player can maintain their success. Tanner Lee is looking for answers as he limps into this game throwing for 1406 yards and 11 TD’s, but he has also thrown 10 picks and his completion percentage has suffered and stands at 54%. He will face a rebuilt secondary that has struggled with takeaways, but they blanket the opposing receivers relentlessly, leaving little room for error against the Buckeyes. Damon Arnette will be out for the first half due to a silly targeting penalty, so Ward, Sheffield and Okudah will be tasked early to stop Morgan, Pierson-El, Spielman, Hoppes and former Buckeye target Tyjon Lindsey. Collectively they are responsible for 1333 yards and 11 touchdowns, and they will all need to perform to help Tanner Lee out if they want to win this game. His Offensive Line also needs to help because they have given up 9 sacks and the constant pressure leads him to make terrible decisions. 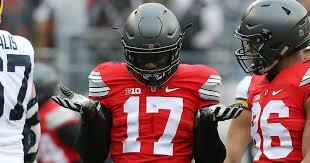 Ohio State is tied for 19th in the nation in team sacks and has racked up 17 so far. They will be active and after the Quarterback to give their secondary a shot at turnovers. I expect Barrett will do his thing and he will continue his trend of not giving the ball away on turnovers. Another slow burn type of game with the addition of a new RG, but they will piece it together before the half and before blowing the doors down. Barrett will continue to develop his confidence and he will find a rhythm. Dobbins and Weber will each have a score and Victor will continue his hot streak and will also find the end zone. The defense will get at least 3 sacks and 3 turnovers because the pressure will force Lee into some, one of which will go for a score. The Buckeyes starters will leave mid 3rd quarter to rest for their clash with Penn State, but they will have the game in hand. This game will be a warm-up without looking ahead to next week to gain traction in the CFB Playoff conversation. Final: Ohio State defeats Nebraska 52-20. Maryland won the toss at the beginning of the game and they deferred to give the Buckeyes the opening possession of the game. J.T. Barrett took the Buckeyes 70 yards on just 9 plays on 4 for 5 attempts before running it in from the 2-yard line to put the Buckeyes up 7-0. On the first Maryland possession, it only lasted 3 plays and 1:31 minutes long. The Buckeye defense pressured Bortenschlager and Nick Bosa blew by the Terps linemen for a strip sack that led to the Buckeyes first defensive touchdown of the season courtesy of Jerome Baker. The Special Teams play, Urban Meyer’s baby constantly hurts the Buckeyes. Ty Johnson swung the momentum in their favor as he took it to the house from 100 yards out to cut the Buckeye lead in half. Barrett gets the Buckeyes back on track as he completes a swing pass to Mike Weber that ended at the Maryland 12-yard line before hitting Binjimen Victor on a skinny post in traffic for another touchdown, but unfortunately, due to a fumbled snap on the extra point attempt, the Buckeyes couldn’t extend the lead much more. The Buckeyes still lead 20-7. Ohio State was the victim of the much-hated targeting penalty that earned Denzel Ward a trip to the Buckeyes locker room. Appearing much worse than it was, Ward appeared to be well within the target zone, but to no avail. A missed opportunity and a bad call that cost the Buckeyes another turnover and a starter on defense, but they have more talent waiting in the wings for their opportunity to show their worth. Another starter, this time starting RG Brandon Bowen suffered a lower leg injury during an offensive play, which seemed to kill the momentum and the rhythm. It had ill effects on the Buckeyes as it resulted in another Special Teams gaffe as Munford and Pridgeon let a defender through for the block. Once again, the Buckeyes stand up and defend their home turf as they turn away the Maryland offense once again, this time it was on a 4th and 5 attempt. On the next Buckeye possession, J.K. Dobbins uncharacteristically coughed the ball up as Chandler Burkett rocked him on his rushing attempt. Like clockwork, Ohio States defense does their job once again to force another punt. J.T. 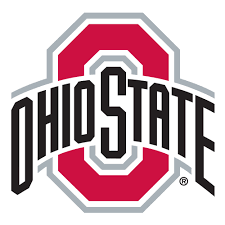 Barrett drove the ball down the field with his stable of running backs before finding Marcus Baugh tip-toeing on the sideline for a 10-yard touchdown to put the Buckeyes up 27-7. The Buckeyes with some trickery after forcing another Maryland punt as they hand the ball off to Dobbins before he did the same for Campbell as he took it for 24-yards on the reverse to extend the Buckeye lead to 34-7., for a 24 rushing score to extend the Buckeyes lead to 34-7. The Buckeye defense stiffened up and gave Barrett the ball on the 50-yard line. Hill actually returned it for a touchdown but a block in the back by Riep cost them. Barrett drove 50 yards to add another score when he found Austin Mack with 10 seconds left to extend the halftime lead to 41-7. The defense has been the star of the game so far and going into halftime, the smothering defense held the Terps to 26 total yards, which is so far, a good sign for this team looking ahead. The second half picked up where the first left off as Ohio State started with a kickoff out of bounds, another Special Teams penalty. In obvious distress over the error, Urban looks to the ground in disbelief. Tyquan Lewis shuts down Bortenschlager as he sacks him on 3rd and long, which is their fourth sack of the day. Barrett takes the opening second-half possession and takes the first play 35 yards to the Maryland 22 yard line, but Nuerenberger missed the easy field goal for another miss on Special Teams. The Maryland offense couldn’t muster up any points as they forfeit the ball on another punt. Barrett and Weber punished the Terps on an 11 play drive that went for 65 yards before Weber punched in his fourth touchdown of the season.11 plays 65 yard drive that resulted in another Buckeye touchdown. Maryland seemed to be clicking but Chase Young got the strip sack on Bortenschalger, then Cornell recovered the ball. Dobbins took the first touch for 14-yards to the Maryland 13 before juking a Terp before punching it in for more Buckeye points–Buckeyes lead 55-7. Another Buckeyes was ejected by another targeting penalty, so next week at Nebraska Damon Arnette will be out for the first half of the game. Maryland back-up running back Leake punched it in on 4th and short to cut into the insurmountable lead, but the Buckeyes still lead 62-14. The game ends with the same result, but there are still a few improvements that need to be made. Next week they visit Nebraska which will be another opportunity to show how much they have grown. With Arnette being unavailable in the first half, the players after him need to be ready, and Special Teams needs to be on point. Enjoy the win, Go Bucks! 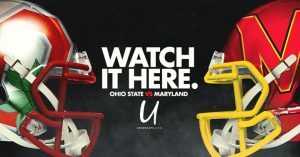 Game day is almost upon us, and in this weeks game, Ohio State will host a scrappy Maryland Terrapins team. 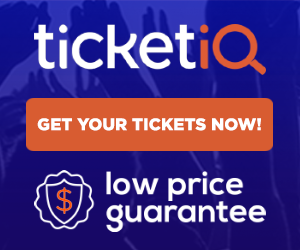 They shocked the world as they went into Austin and defeated the host team, they blew out an overmatched Towson team and they held on to beat Minnesota, again as the visiting team. Two impressive road wins, and now they find themselves in the same situation as they will once again be the visiting team. Max Bortenschlager is Maryland’s current starting quarterback after the previous two starters both suffered season-ending injuries to put him in this very position. He will make his second start, but this time he will start in the Shoe, one of the most electric and loud environments. He will try to shake the nerves as he enters his first true road game environment. So far this year Bortenschlager has been decent so far for the Terrapins, throwing for 290 yards, 3 touchdowns against 2 interceptions and rushing for 34 yards and 2 more scores on the ground. Bortenschlager will have to be on top of his game against Ohio State, he will need to take care of the football and he will have to lead his team without any mistakes or else the Ohio State defense will make them pay dearly. The Return of Big Play Barrett? J.T. Barrett, courtesy of Bucknuts, is irritated with the constant criticism that has plagued him this season, the deep ball struggles. 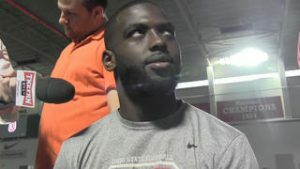 Ever since the dreadful Oklahoma game, Barrett has been the ire of a lot of criticism from everyone from former Buckeyes, fans and even by top-tier high school recruits and targets. Barrett actually did pretty well against a depleted Rutgers secondary that was missing its best cornerback, but that is not an excuse because the next two up had enough experience and were upperclassmen to the program. Barrett was 4 for 4 on deep passing attempts, even though one was called back due to an offensive pass interference call against Dixon, but none the less, he showed improvement. The Rutgers game was mostly a tuneup game, but it contained a well-deserved opportunity to rebound and to regain confidence, and they achieved that after putting 56 on the board. Not only has Barrett gained confidence, his receivers are starting to break open, and the progress is there, the execution is not there, but they are close. 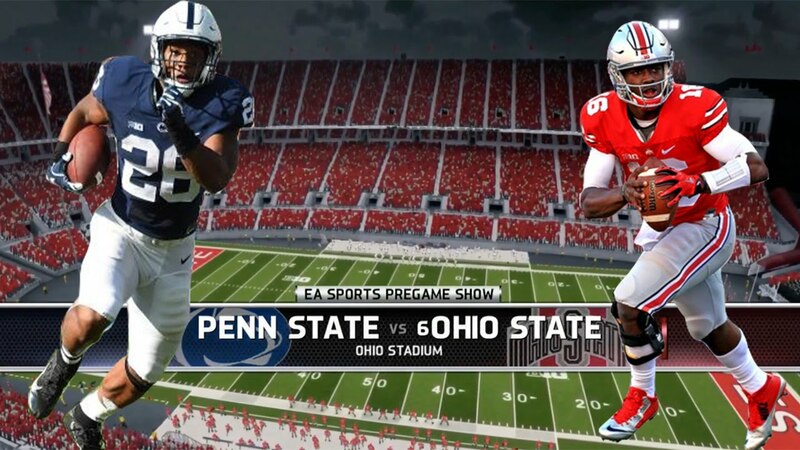 I wouldn’t be surprised if the Buckeyes put up big numbers in this game. DJ Moore will be another test for Arnette and Sheffield because he hasn’t been stopped yet this season. He has found the end zone in all four games, he has had at least 8 catches averaging a shade over 100 yards per game, and he has 5 touchdowns so far this season. He will be accompanied by Ty Johnson, who also has the ability that Moore has, with his ability to score and give defense fits. In three of the four games, he was well over 120 yards, and the only team to shut him off was UCF, as they held him scoreless and to only 25 yards. The Linebackers and the Defensive Backs will have their hands full this game, but they will lean on their Rushmen package to confuse Bortenschlager and force turnovers. Will they be up to the challenge? Prediction: This game is another home game before traveling on the road to visit the Cornhuskers. This is a trap game that will have that slow burn effect before the Buckeyes impose their will and their talent will be the difference. 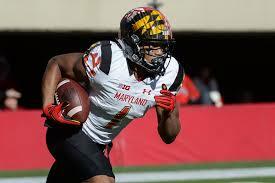 Maryland is an upcoming team that will keep it close. D.J. Moore scores during the game, but Johnson gets shut down as Baker leads the second half defensive charge. It will be a sack party, with at least 3 and 2 huge turnovers to salt the game away (1 pick/fumble). J.T. will have a huge day and Haskins makes an appearance to remind them of what they lost out on. My Observations for Ohio State:. After trouncing Rutgers 56-0, they moved up one spot and back into the Top 10. The Buckeyes could re-enter the Top 5 if they take care of business. They will face Penn State at home in week 9, they will travel to Ann Arbor for The Game and if they win the East Division, they could face Wisconsin in the BIG 10 Conference Championship Game. The Buckeyes have a string of tough opponents left on the schedule. Maryland, Nebraska, Iowa and Michigan State are tricky opponents that could give or that have given the Buckeyes problems. Nebraska and Iowa are tough atmospheres to play in. Maryland is a team that gets better, but they are on their third-string quarterback after their top two players suffered season-ending injuries. Michigan State has beaten the Buckeyes during the worst times and this season could be the same if the Buckeyes aren’t ready. Illinois is still trying to find their way, but in the Battle for Illibuck, anything could happen. We all saw what Juice Williams did, and we should be cautious not to write them off because it still is a rivalry game. Hypothetically, if Ohio State beats Penn State in week 9, and in dominant fashion (very doubtful), they will most definitely be back in the 5-7 spot. Teams will eventually lose in between, but the final roadblock (literally on the road) will be TTUN. Ohio State will travel to Ann Arbor to end the regular season, and it is going to be a tough game if both teams are ranked high. If they beat Penn State, TTUN will be looking to spoil the Buckeyes CFB Playoff hopes. The Buckeye offense and defense still has a few kinks to work out. They committed 10 penalties for 106 yards. They will need to limit the penalties if they want to be successful. The overall feeling is that the Buckeyes control their own destiny. If they falter, it will cost them another CFB Playoff berth. If they win out and win huge, they will most likely be in this years big dance once again. With the depth at the majority of their positions, and the talent at hand, they could run the table, but they need to be impressive throughout. They seem to have found some answers with Tuf Borland while Worley recuperates, and the Defensive Backs are getting better every week.